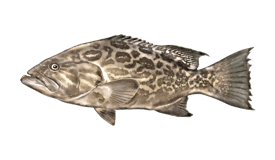 The Black Grouper is the largest keepable member of the grouper family. 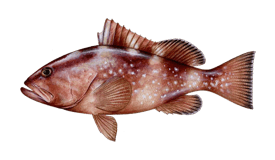 Due to similar coloration and size, it is often mislabeled as Gag Grouper. 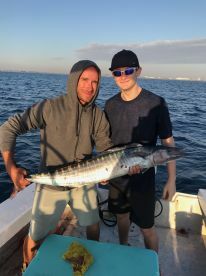 A hearty and lean fish, highly sought after in recreational and commercial fishing, this species requires heavy tackle and fast reflexes, coupled with good back strength, as their nickname "the freight train" indicates - they won't go easy on you. 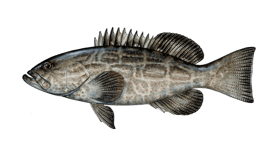 Black Grouper can live over 30 years, and take about 10 years to reach maturity. 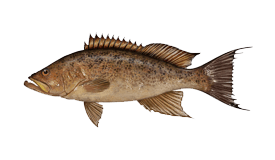 Additionally, like some other species of Grouper, they are protogynous hermaphrodites, which means that some of the females will transform into males after maturing. 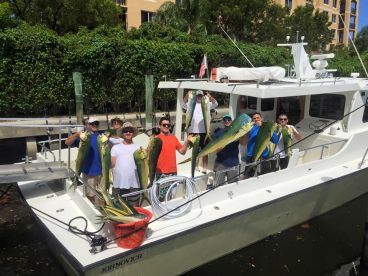 This, coupled with their slow breeding abilities and popularity as fishing game, brings the species to the near-threatened status of conservation. Adult fish are mostly solitary swimmers, inhabiting rocky bottoms, reef, and drop off walls in water over 60ft deep. 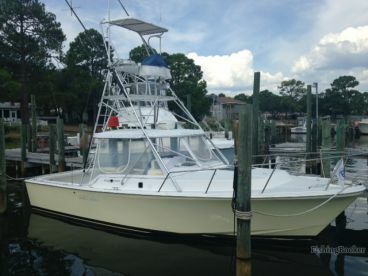 Younger ones can be found in shallow waters. 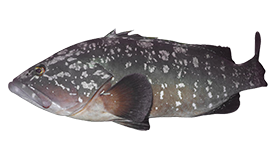 Black Grouper is considered fully mature when between 39 and 48'', but can reach up to 52'' in length and, supposedly, up to 179lbs. 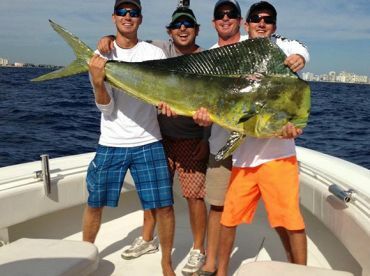 The average catch will be fish a little over 2ft in length and anywhere from 5 to 20lbs. 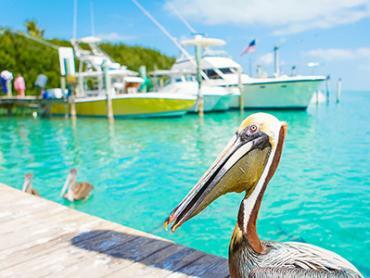 This species can be found in the western Atlantic Ocean, from as far north as Massachusetts (only juveniles), down to southern Brazil, but is especially present in the southern Gulf waters of Florida and from Stuart down to the Keys on the Atlantic side, but also in the Caribbean sea and the Bahamas waters. 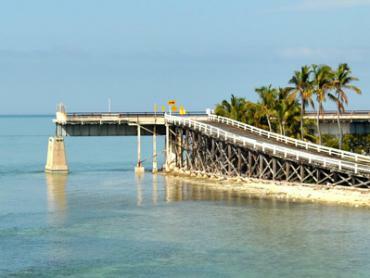 The southernmost islands of Florida host a plethora of Black Grouper over 50lbs in weight. 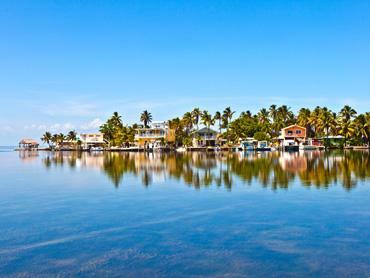 Blacks spawn in waters 30-120ft deep between May and August (this can be as early as March around the Keys), so a good time to target these shallower water dwellers will be in the winter and spring months. In waters 120-250ft deep they can be caught year-round. 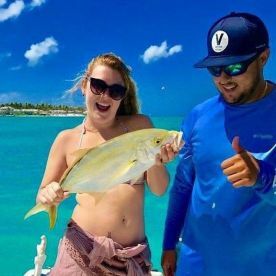 They're not as abundant in these depths, but are larger in size and can even be caught on lighter tackle, on account of the deep bottom not being as rich in hiding holes. A good rule of thumb would be to go after them just before a cold front, as they become most active and hungry then. Juveniles feed mainly on crustaceans, so, if you're after the bigger ones, using baitfish is recommended. Without a doubt, the best option will be live speedo mackerel, if you can get your hands on some, with goggle eyes and tinker mackerel being runners up. 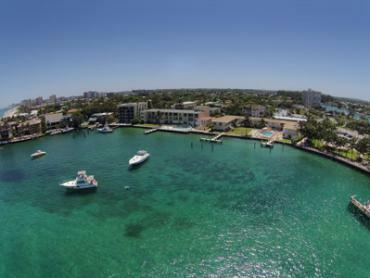 If those are unavailable, yellowtail snapper, blue runner, grunt, or reef fish of similar size will be good. Smaller bait like herring, squid etc will not help land a big one. 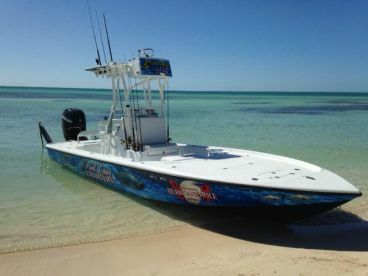 Trolling with diving plugs has been shown to yield good results on the edges of shallower reef bottoms. 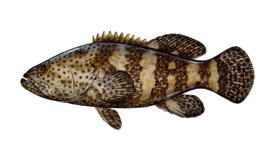 Grouper are unforgiving fish - mostly not allowing for a second chance at a hook up if lost. 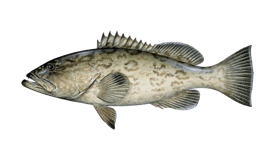 This is especially true for Black Grouper. They are usually very near their hiding hole and will give it their best to get "rocked up" after getting hooked, resulting in a cut line. This initial high-torque run must be prevented at all costs, so leaving a rod with some slack in the line or without the drag on is not an option. A couple of helpful tips: persistent chumming of one spot is good; hooking the baitfish too deep in is bad (the hook needs to pull out easily when the fish is hooked); scoring, crushing or stepping on the bait will release more scent and attract fish more easily. The meat is high quality and very sought after. 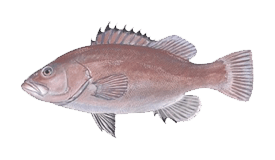 Cases of ciguatera (fish poisoning) have been reported. 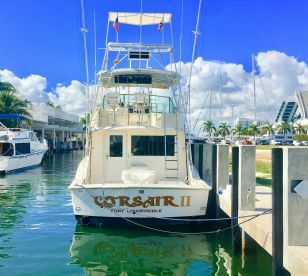 Season - Atlantic waters - Closed January 1 - April 30; Gulf waters - Open year-round; Federal waters - closed February 1 - March 31 when fishing after the 20-fathom break.